Deliver files right to your clients or partners, without worrying about file sizes or full email boxes ever again! 1. Select the files you want to share. The asset viewer also recognizes ⇧(shift)-click to select a range of assets and ⌘(command)-click (Mac) / crtl-click (Windows) to select multiple individual assets. You can also select assets in any pattern you wish with the rubber-band select. 3. Enter the recipients email address, a subject and an optional message. On the left you see the first 9 items that you are about to share, in the up right corner the number in the badge says how many assets you are about to share. “Send assets”: This means the recipient will get an email in which he finds a link and a password to download the shared assets. “Use my email client”: Your default email client will open a new email message, containing the magic phrase and the download link. This comes in handy if you want to use the address book of your local email client, plus you can easily share the files with more than one recipient. 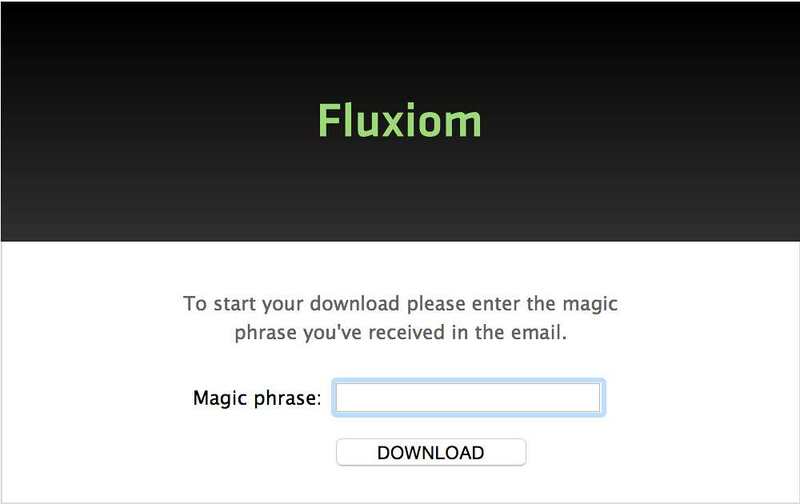 After entering the magic phrase, downloading will start immediately. 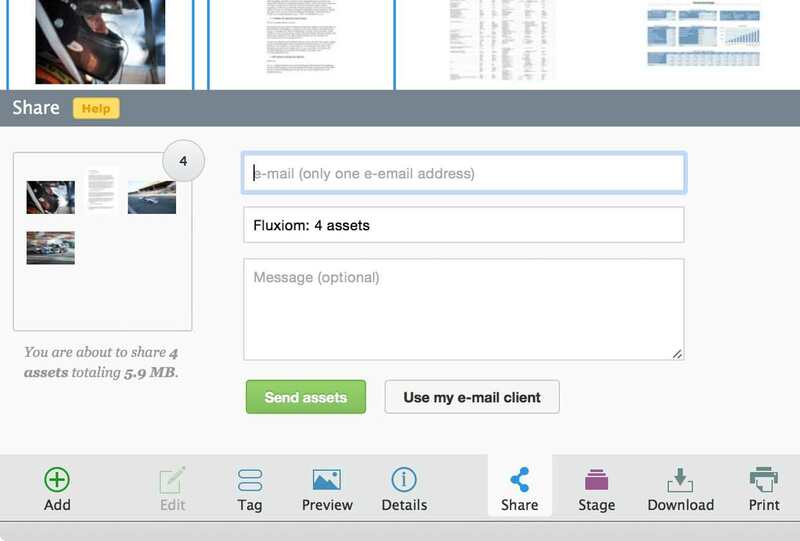 Note that there’s only one file to download, as Fluxiom will automatically provide a ZIP archive of the shared files. This shortens download times and is more convenient for the recipient.